2 Que hora es? 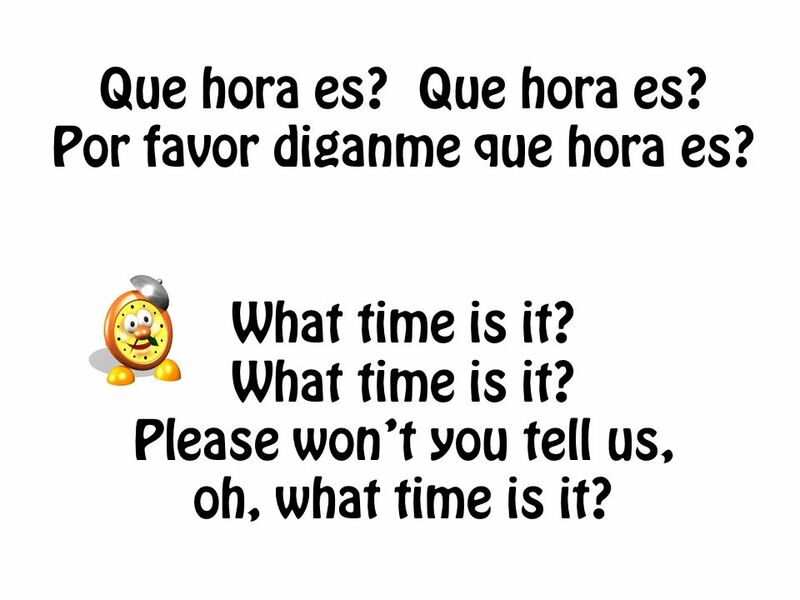 Que hora es? 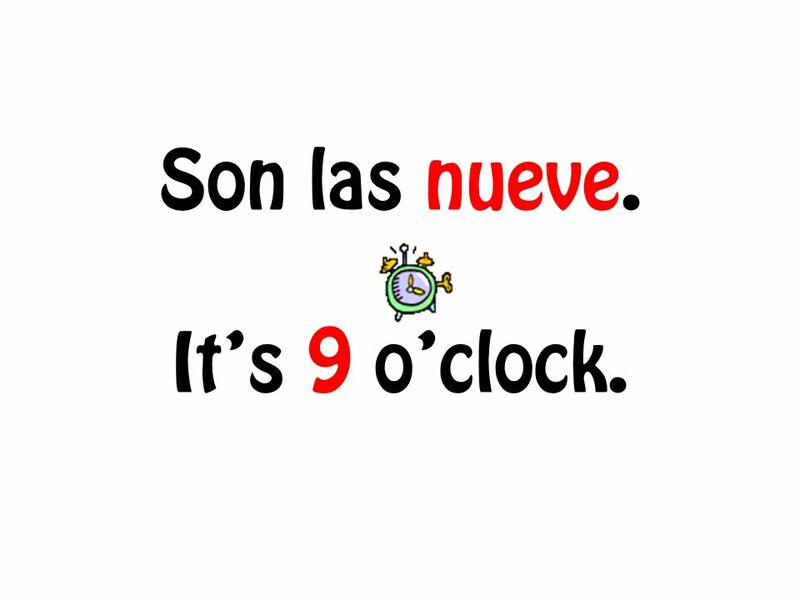 Por favor diganme que hora es? What time is it? What time is it? Please wont you tell us, oh, what time is it? 3 Son las ocho. Its 8 oclock. 4 Son las nueve. Its 9 oclock. 5 Son las diez. Its 10 oclock. 6 Son las once. Its 11 oclock. 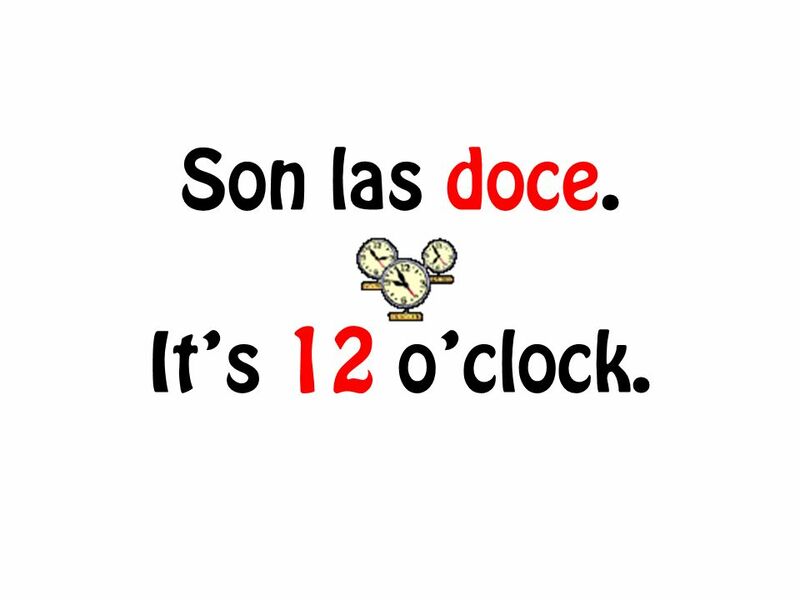 7 Son las doce. Its 12 oclock. 8 Son las una. Its 1 oclock. 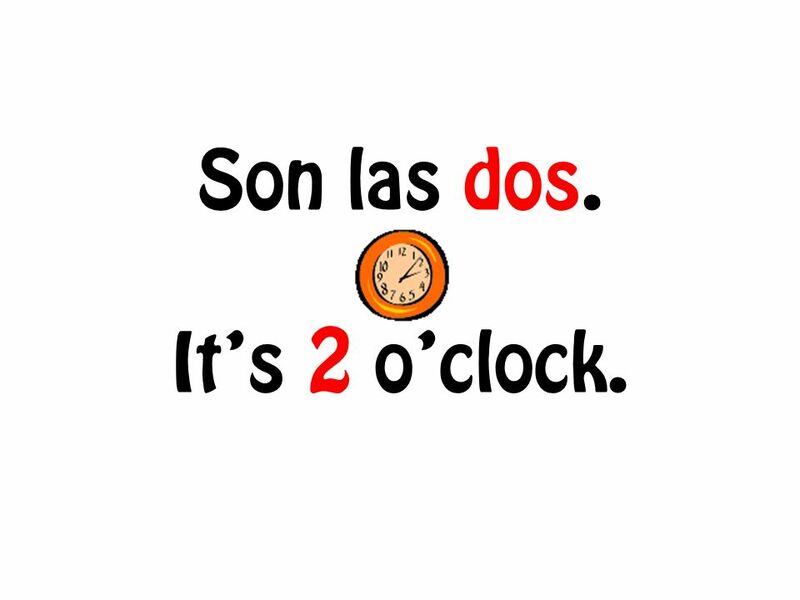 9 Son las dos. Its 2 oclock. 10 Son las tres. (cheer!) Adios! 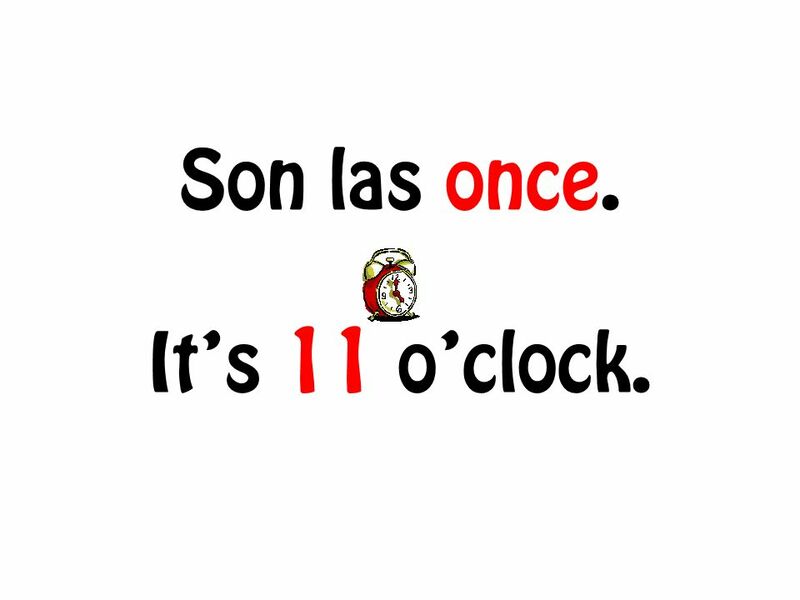 11 Que hora es? 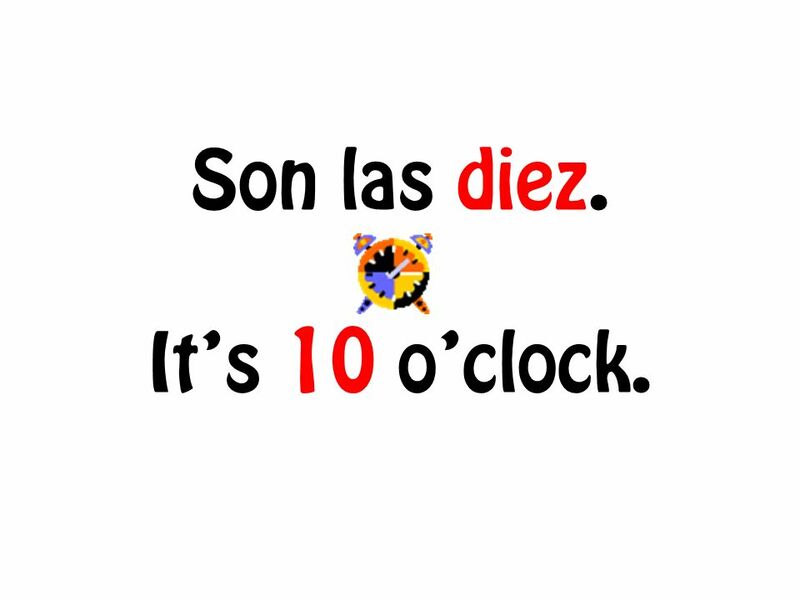 Que hora es? Por favor diganme que hora es? What time is it? What time is it? Please wont you tell us, oh, what time is it? 12 Por favor diganme que hora es? 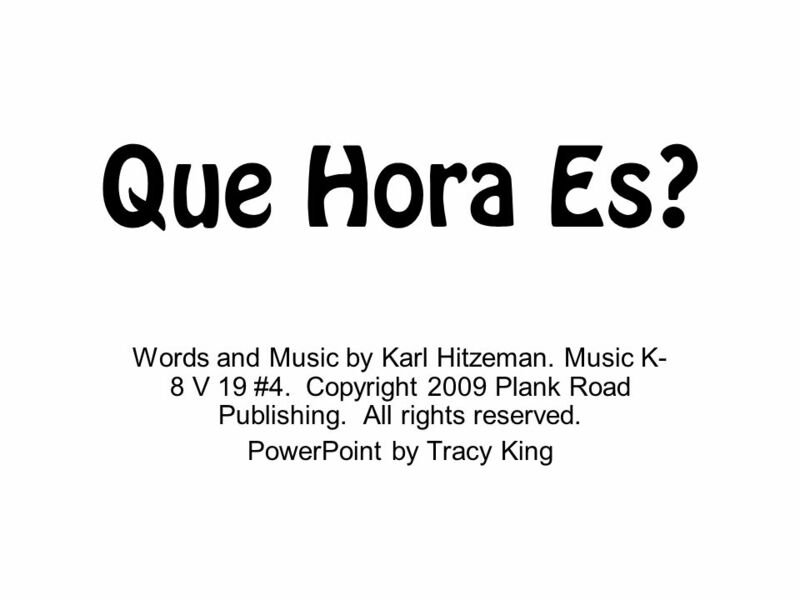 Descargar ppt "Que Hora Es? Words and Music by Karl Hitzeman. Music K- 8 V 19 #4. Copyright 2009 Plank Road Publishing. All rights reserved. PowerPoint by Tracy King." 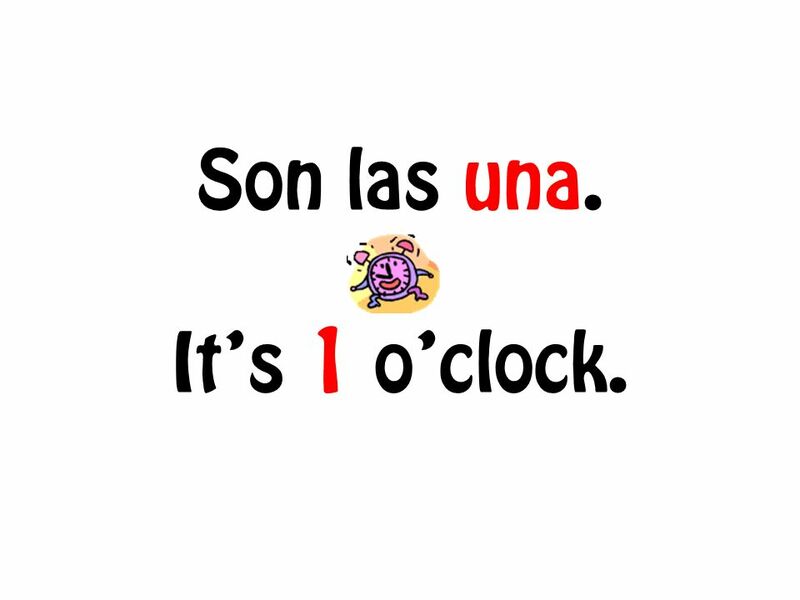 Vamos a decir la hora Es la una en punto It is one oclock.